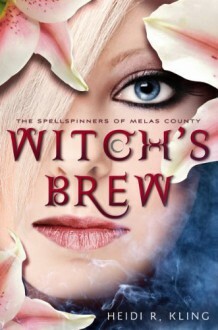 The Spellspinners of Melas County is a fantasy YA romance series about a witch, a warlock, and their fight for their forbidden but prophesized love.Once soulmates, the witch and warlock covens of the California coast have been estranged for a century. Raised to hate each other, their teenagers meet in the Solstice Stones, a magical battleground where they draw energy from each other to maintain their balance. 16 year olds Logan and Lily have spent years training for their first Stones…only to discover just days before that the enemy may not be what either of them had thought.In Witch’s Brew, Lily is torn between her feelings for Logan and her coven’s need to know who—or what—he is. The young lovers race against time, their distrust for each other, and the powerful influence of their elders, to unravel the mystery of their pasts before their future is destroyed.What’s Cool from Coliloquy: In Witch’s Brew, Lily and Logan’s fate is already decided, but Heidi explores several different possible pathways for how they get there. She shares scenes that wouldn’t normally fit in a book format and gives readers more precious moments between the two young lovers. As the series progresses, you’ll see some normal narrative forms, interspersed with smaller scenes, alternate points of view, and a lot of “what if” scenarios.